News reports located on this page = 3. BT Group is responsible for generating ₤1 in every ₤105 produced in the North West's economy, according to an independent report. 'The Economic Impact of BT Group plc in the UK' report, by Hatch Regeneris, shows that the communications company generated a ₤1.6bn (₤1,600 million) contribution; expressed as:- "Gross Value Added" (GVA)* - to the North West economy during the 2017/18 financial year. The report estimates that the equivalent of 20,700 full time jobs in the North West are supported through BT's direct employment, its spending with contractors and suppliers and the spending of its employees. BT Group directly employs 7,460 people in the North West, with a further 1,670 employed as contractors. It's estimated that BT Group supports 1 in every 110 employees working in the North West's private sector, reinforcing its position as 1 of the Region's leading employers. The Group also spent nearly ₤416 million with suppliers based in the North West. Across the UK, BT Group directly employed 94,800 people (FTE) and supported an estimated total of 290,000 full time jobs. It also generated, in total, almost ₤23bn (₤22.8bn) to the UK economy. BT Group and EE are making major investments in the North West, bringing 5G to Manchester and Liverpool in 2019, building on major full fibre infrastructure already underway. Tim Fanning, Director at Hatch Regeneris, said:- "Our analysis underlines how vast BT Group's contribution is to the UK economy, particularly across the nations and Regions. BT Group is almost unique in contributing to the economies of virtually every community across the UK, supporting significant levels of GVA spend and employment opportunities per Region." The report from Hatch Regeneris comes in addition to a recent report by PWC1 which highlighted that BT Group is the 5th highest tax contributor in the UK among FTSE 100 companies, and the highest contributor among non financial companies. 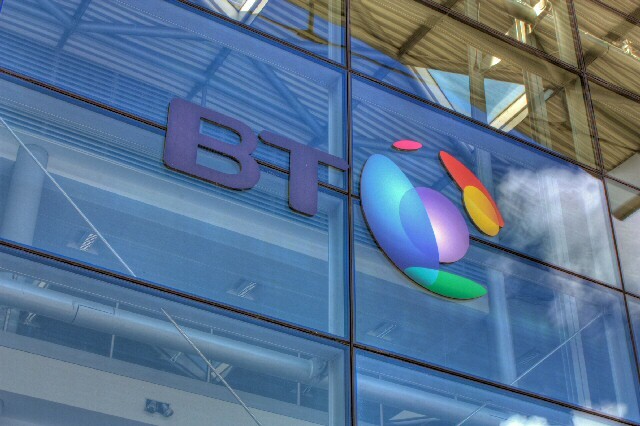 The PWC report also identified BT as the largest capital expenditure investor in the UK. Kieran Charleson, BT Group Regional Director, North of England, said:- "Few companies play as important a role in the North West as BT Group. Not only does BT connect friends, families and businesses across the UK, but we also make a significant contribution to the Region's economy. We're proud to be 1 of the Region's largest private sector employers and investors. Our investments, including the latest 5G mobile technology through our mobile network EE, will ensure the UK continues to be 1 of the world's best-connected economies. With 9,130 people directly employed in the Region, spending their salaries in local businesses, as well as regularly volunteering on activities such as our Barefoot tech literacy programme in Schools, our people are at the heart of the community." Damian Waters, Director, CBI North West, said:- "BT is a major employer in the North West and has a big impact on the economy and jobs. It is good news to see this significant presence in the Region continuing. BT Group's investment in the area not only means a boost to the local economy, but also to skills and high quality jobs, including recruiting apprentices and graduates. BT's investment in the fastest networks and latest technology is also vital for the Region. Being connected is essential for our businesses and for improving quality of life in all our communities." The report includes the contribution of all parts of BT Group, including Openreach, mobile network provider EE and BT's Consumer and Enterprise divisions. ► Directly employed a total of 9,130 people (FTE, including contractors) and supported an estimated 20,700 full time jobs. ► Spent ₤416 million with suppliers based in the North West. ► Directly employed 1 in every 250 employees in the private sector across the North West, and 1 in every 10 in the IT and Communications sectors. ► Supported ₤1 in every ₤105 of GVA in the North West's economy and 1 in every 110 employees working in the Region's private sector. ► Directly employed 94,800 people (FTE) and supported an estimated total of 290,000 full time jobs. ► Employees committed more than 37,000 volunteering days to worthy causes. ► Spent ₤510 million on research and development, making it 1 of the UK's top investors in innovation. The full report is available online now at:- BT.Com/Reports. Supercharge broadband and 5G to stop North West England Economy from "buffering"
WITHOUT Government action in 2019, the North West risks a growing digital divide that leaves people and businesses behind. That's according to the CBI report Ready, Set, Connect. With the Region's firms champing at the bit to upgrade the UK's digital networks, better connectivity will help flexible workers, reduce costs and lay the foundation for companies to adopt 5G. With Brexit sucking the oxygen out of priorities like this at home, Damian Waters, CBI North West Regional Director, is urging the Government to take practical steps this year to add billions to our economy, enable companies to adopt new technologies and close the productivity gap between London and the rest of the UK. UK Government recommendations include:- Fast track laws for firms to install internet connections in existing homes for private tenants and ensuring all new properties have full fiber or other gigabit cables installed when they're built Equip all new train lines and other transport projects, with full fiber cables, get businesses ready for 5G adoption, by raising awareness of its uses and how firms can use it; through Government trials. Damian Waters, CBI North West Regional Director, said:- "There's is a real risk that 2019 will be a year in which we overlook the rest of our economy. There's already a digital divide in rural areas across the UK. Our ability to enjoy world class digital connectivity shouldn't be determined by where we live or work. It's not just a social case for national coverage, but a clear economic 1. Businesses have already invested heavily in digital infrastructure. In fact, the private sector will provide most of the ₤33 billion total investment needed to deliver full fiber networks across the UK. But Government must help firms access those hard to reach areas." On company access to private rentals, new build homes and regulation, Damian said:- "Why aren't we equipping every new build in the UK with full fiber technology to enable more flexible working? In this case, it's not just investing that matters. It's also about the challenges companies face getting access to properties when looking to install digital connections in private rentals. Businesses want to see fast-tracked planning legislation going through parliament this year if we are to give constituents, consumers, and commuters the world class connectivity they need." On increasing business adoption of new technologies, Damian said:- "There's no doubt that the UK is developing fantastic technology. But right now, on the global stage, the race is on to ensure firms adopt it. 2019 must be a year of rapid uptake. First by extending support for businesses to help small firms adopt existing technologies like 4G and full fiber. And second, by expanding trials in new technology like 5G, so businesses can explore the art of the possible with seamless connectivity. Because in today's world, digital connectivity is not just a nice to have, it's a business basic." ALDER Hey Children's Hospital in Liverpool is to benefit from a ₤3000 donation by Peel Ports. The gift is in recognition of the work that Peel Ports' containers division had done to maintain good health and safety practices across its sites. Anthony Meakin, a Peel Ports site manager at Irlam was on hand to donate the money to the Hospital in West Derby. Anthony's 11 year old daughter, Lily Rose, is no stranger to the Hospital staff, because of an on going ear condition and is preparing herself for an operation at the Hospital, in April 2019. Speaking after the donation was made, Anthony said:- "The work Alder Hey do is incredible. The staff are unbelievably committed to providing the best care for children and their families and we cannot thank them enough for what they do. This donation reflects the positive impact the Hospital has had on the wider Peel Ports workforce, and the commitment we have to ensuring our work environment remains safe." The donation to Alder Hey will go towards funding of the world-leading research and care carried out at the children's Hospital, which helps over 275,000 young people and their families each year. Jouke Schaap, Container Director at Peel Ports, said:- "It's important to mark these successes, because it helps to promote the importance of having an environment where health and safety is paramount, and that in turn is a crucial part of our overall strategy. The success across the group is testament to the hard work of employees in adhering to the high standards set by us. It's the right thing to do for our staff and our business but it's also great that we can help others in the process." 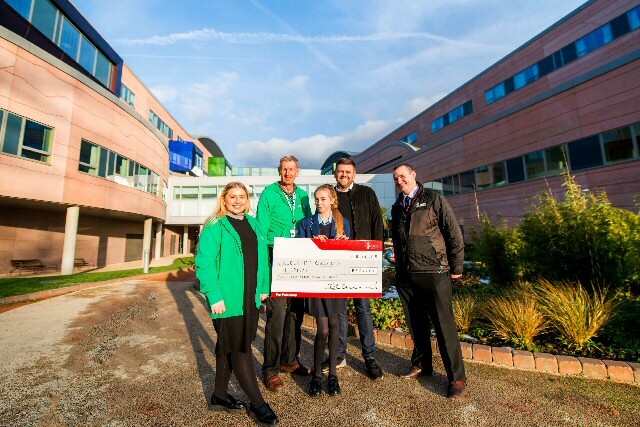 Hayley Thomas, Corporate Fundraising Manager at Alder Hey Children's Charity:- "We would like to say thank you to Peel Ports for choosing to support Alder Hey through this ongoing initiative. We are so appreciative of their generosity which will help us to fund enhancements to the Hospital, making a huge difference to our inspiring patients and their families at what can be a very difficult time."